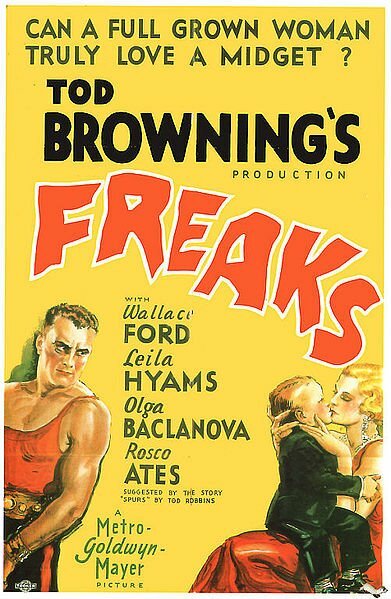 When it comes to black & white films, today's generation don't seem to want to know, which is a shame because they are missing out on a-lot of classics, including this, Tod Browning's classic pre-code Horror "Freaks". For this film Browning drew on his own personal experiences from when he was in a travelling circus in his younger years. 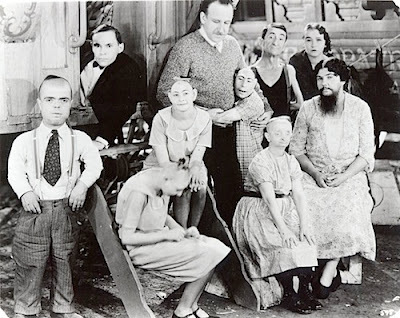 In the film, the physically deformed "freaks" are inherently trusting and honorable people, while the real monsters are two of the "normal" members of the circus, which I find is still a good way to look at society today. The original casting for this film had Victor McLaglen as Hercules, Myrna Loy as Cleopatra, and Jean Harlow as Venus. All balked at the prospect of co-starring with "sideshow exhibitions". On a personal note, this is a film truly hold close to my heart, it helped me through a-lot of hard times when I was a teenager, but coming from a film that's nearing its 80th anniversary that's saying a-lot! This film is a TRUE classic from a golden era. It was controversial for it's time, which might seem silly today but times were different back then. It still holds up to today's films and it's a film I will always cherish. Don't let the fact it's in black and white put you off, like I said it's a TRUE classic and a must-watch for fans of Horror or even anyone who just want a good story. It's creepy, entertaining and yes still shocking! The electrical equipment on the set was so badly grounded that crew members were frequently shocked. The film's original ending showed Hercules singing soprano in Madame Tetralini's new sideshow because he has been castrated by the freaks. After intensely negative reaction by preview audiences, this scene was cut. Prince Randian, the man with no arms or legs, developed a habit of lurking in dark corners and frightening passers-by with a blood-curdling yell. During filming, director Tod Browning was plagued with dreams in which Johnny Eck and a pinhead would keep bringing a cow in backward through a doorway in the middle of shoots. In the UK this film was banned for 30 years after it was first released. The on-screen romance between Hans and Frieda was very subdued because the roles were being played by real life brother and sister Harry Earles and Daisy Earles. After the film had been withdrawn and shelved by MGM, the distribution rights were acquired by notorious exploitation roadshow specialist Dwain Esper. Esper traveled the country showing the film under such lurid titles as "Forbidden Love" and "Nature's Mistakes"
During the 1920s and 1930s, photographer Edward J. Kelty took a succession of group photographs of members of the Barnum and Bailey freak show. What is interesting is how many cast members can be spotted in them (this film is the only movie credit for most of them). 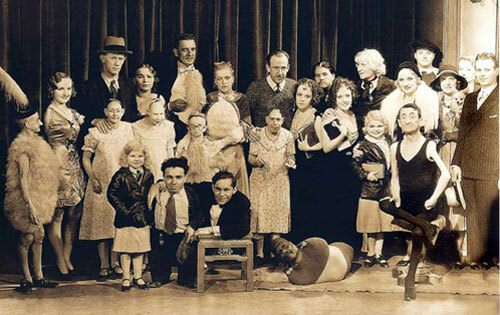 Familiar faces include Harry Earles (Hans), Daisy Earles (Frieda), Peter Robinson (human skeleton), Elvira Snow (pinhead), Jenny Lee Snow (pinhead), Elizabeth Green (bird girl) and Olga Roderick (bearded lady). Cast member Olga Roderick, the bearded lady, later denounced the film and regretted her involvement in it. In the United States, this film was banned in a number of states and cities. Although no longer enforced, some of the laws were never officially repealed. Therefore, it is still technically illegal for this film to be shown some areas of the USA. During a publicity photo session with Olga Baclanova, midget actor Harry Earles kept making lewd remarks. Many of her surprised and disgusted visual expressions in the photos that the session yielded are authentic rather than posed. Several variations on the ending are still in existence. However, the footage of Hercules singing soprano was not included in any of the foreign versions and is now regarded as lost. Schlitze, the microcephalic member of the cast who appears to be female, was actually a male. The dress was worn for reasons of personal hygiene. The film was rejected for UK cinema showing in 1932 and again in 1952. It was finally passed for cinema with an uncut X rating in May 1963, making it one of the longest bans in UK film history. One woman, after seeing "Freaks", wrote a letter to Tod Browning at MGM, exclaiming that "You must have the mental equipment of a freak yourself to devise such a picture." Another viewer complained, "To put such creatures in a picture and before the public is unthinkable." Although production chief Irving Thalberg decided to re-cut the picture immediately after the disastrous test screening, he could not cancel the world premiere on January 28, 1932 at the 3,000-seat Fox Theatre in San Diego. This is the only venue at which the uncut version of "Freaks" is known to have played. Ironically, the unexpurgated "Freaks" was a major box-office success. Crowds lined up around the block to see the picture, which broke the theatre's house record. By the end of the run, word had spread that "Freaks" was about to be butchered, and the theatre advertised, "Your last opportunity to see 'Freaks' in its uncensored form!" 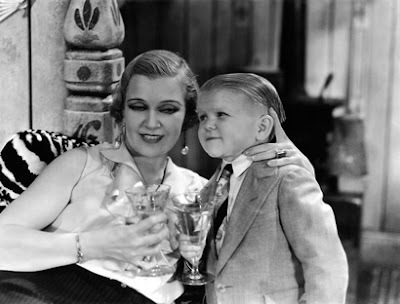 Olga Baclanova, later recalled the day when she was first introduced to the supporting cast, "Tod Browning shows me little by little and I could not look, I wanted to faint. I wanted to cry when I saw them. They have such nice faces... they are so poor, you know... Browning takes me and say, you know, 'Be brave, and don't faint like the first time I show you. You have to work with them.'... It was very, very difficult first time. Every night I felt that I am sick. Because I couldn't look at them. And then I was so sorry for them. That I just couldn't... it hurt me like a human being." Tod Browning's only onscreen credit is on the title page: "Tod Browning's Freaks," which is interpreted as the director credit. He is not in studio records as a producer. A woman who attended a 1932 test screening for the film claimed later that she suffered a miscarriage resulting from the film's shocking nature, and threatened to sue MGM.